Some weeks ago, we started working on a very fascinating audio guides project and decided to talk on our blog about audio tours and how they are a great opportunity career for voice over talents. If you want to get some tips on how to become an audio guide voice talent, you can read the post here. This week, we’ve been to New York thanks to the wonderful voices of our Spanish voice-over talents. From Spain to United States without leaving the recording studio. In this incredible trip, we visited monuments, popular visitor destinations, buildings and of course, the most important museums. At the Museum of Modern Art (MoMA) we were overwhelmed by MoMA’s extraordinary collection of one of the greatest artist of all time, Vincent Van Gogh. While seeing and feeling his paintings with our ears –and eyes too- we could help ourselves and compare them with the artwork created for Loving Vincent, the world’s first fully oil painted feature film. 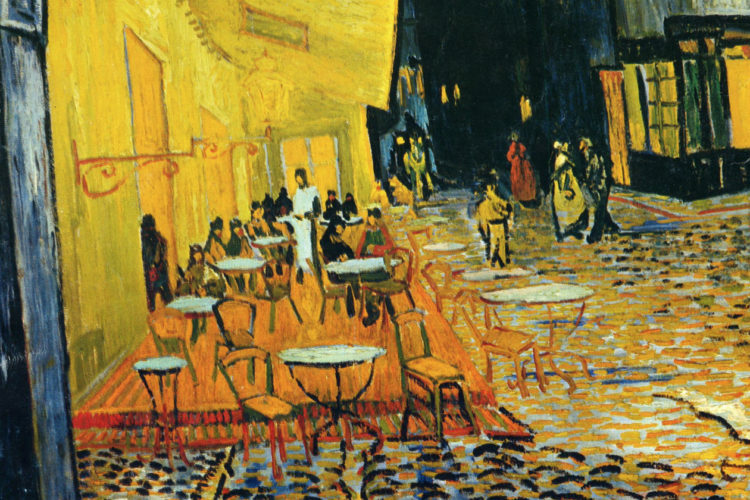 Loving Vincent, is a unique film composed of 65,000 painted frames that brings the artwork of the Dutch painter to life in a cinematic experience like never before. This Polish and English production is an Oscar nominee for Best Animated Feature. If you haven’t watched it yet, do it right away. You’ll thank us. As you can see in the trailer is an English voice cast, not Dutch. Will Loving Vincent win the Oscar next Sunday?